Toilet repairs are not always something that you want to tackle on your own. Even if you take pride in being handy, there are situations where only working with the professionals will do. If you are in need of a good toilet installation & repair service in Woodinville, you can count on us at Trident Plumbing and Drain Cleaning to take care of it for you. When you have a toilet that keeps clogging, the last thing you want to do is put harsh chemicals down into the bowl. The chemicals that are found in over the counter drain cleaners can be bad for your plumbing as well as your septic tank system. We can come out to your home to assess the clog and see if there is anything else that can be fixed so that you are not faced with recurrent clogging problems. Do you notice that there are noises that come from one or more of the toilets within your home? If you have dripping noises, clunking or whistling noises, you should have them checked out by the pros. We can come to your home and make sure that the right fix is in place so that you have toilets that function without excessive noises or problems. Taking the time to plan out a bathroom renovation or looking into a new toilet installation can be a very exciting process. Contact us at Trident Plumbing and Drain Cleaning so that we can discuss all of your available options in a new toilet for your home. If you are looking for more efficiency or a new toilet with a variety of features, we have access to the latest technology and we can be sure that you have the ultimate installation. 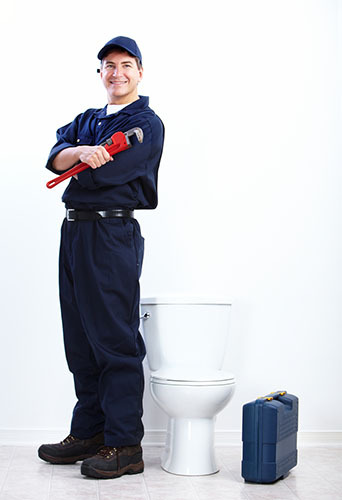 If you need a dependable toilet installation & repair service in Woodinville, trust Trident Plumbing & Drain Cleaning. Call us today at (425) 321-6043!